Our commitment is to achieve excellence in player development, teamwork, and sportsmanship by providing the highest quality programs for club members in a fun, challenging, and safe environment. 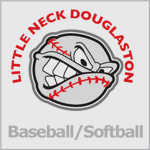 Little Neck developmental program will be offered in the Spring. This program is aimed at improving the Technical ability and foot skills of younger players which will give them a strong foundation of soccer skills to build on as they progress up the soccer ladder in the coming years. Players participating in our Pre-Developmental program will be the first to join our travel or pre-travel teams which will be formed for the Fall 2019 season. All players born in 2010, 2011 and 2012 that want more training in a team atmosphere, we encourage you to fill out the form for our Pre-Developmental program. You will then be contacted by one of our staff members to go ahead and register for the 8-week program. Each birth year will have 1 group and no more than 14 players per session. The cost for this program is $80 dollars for 8 sessions and every player must register for Spring 2019 Intramural . Each session is 1 hour and 30 Minutes. All players must have a size 4 ball, Cleats and shin guards. Intramural Soccer Program is about having fun. This program is not about winning and losing games. Instead, it is about developing a sense of sportsmanship and learning about the game at a more relaxed pace. Our objective is to foster an environment where players can participate in physical recreation while developing new friendships and having fun! The mission of Little Neck Soccer Club is to provide opportunities to all levels of soccer players, from beginner player, to the mid-level travel player. The practice sessions are more relaxed and fun which are run by volunteer coaches. Each practice session will have more than 14 players. Games played on Saturdays. Pre-Developmental Training Program is a more intense training program than our Intramural soccer program. This program is designed for younger recreational players to participate in an advanced training and development program. Participation in the program will help players improve their skills and be better prepared to transition to a travel program when they can participate in full-time, year-round teams. Each session is 1 hour and 30 minutes long run by a professional trainer. This program is intended for players who are serious about soccer and who are thinking of joining our U10 travel or U9 Pre-Travel after Spring 2019.